How quick will the popular Orient Express Pro Street Bikes go in the cool November air at the IDBL World Finals, Nov. 3-5? Several racers expect to leave this event with a new personal best and a new ranking on the Greatest of All-Time (GOAT) list. It’s been a banner year for the category. IDBL point leader Rodney Williford led the charge into the 6.60-zone with an IDBL record of 6.69 at the season-opener in May. For many, the thought of running in the 6.60s, sans a wheelie bar on a street tire seems unimaginable. Welcome to 2017. It’s Funny Bike numbers from yesteryear on a DOT tire! Williford wasn’t finished after the 6.69. At September’s ManCup race in Rockingham Williford blistered the 1320′ with a jaw-dropping 6.66 at a staggering 225 mph. The run spoke volumes on the quality and prep of Steve Earwood’s recently resurfaced Rockingham Dragway. This season’s Pro Street upward trend in performance continued into October. 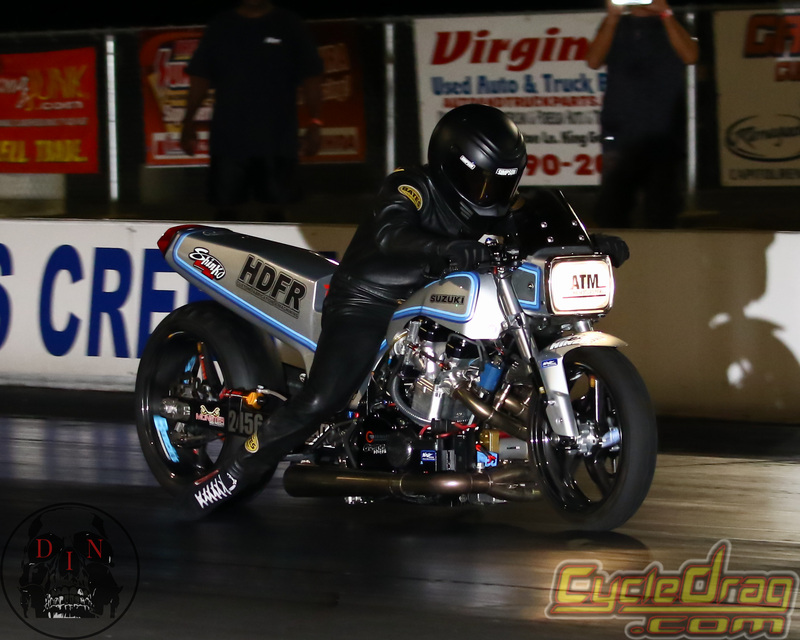 At the IDBL Fall Nationals from Maryland International Raceway, Oct. 6-8, Brad Mummert and Richard Gadson shocked the world with a 6.65 on their 1980 Suzuki GS nitrous entry in pre-race testing. It is unofficially the quickest Pro Street run of all-time. Although not eligible to become an IDBL record, the 6.65 added plenty of intrigue heading into the fifth annual, $10,000 Orient Express Battle Royale. 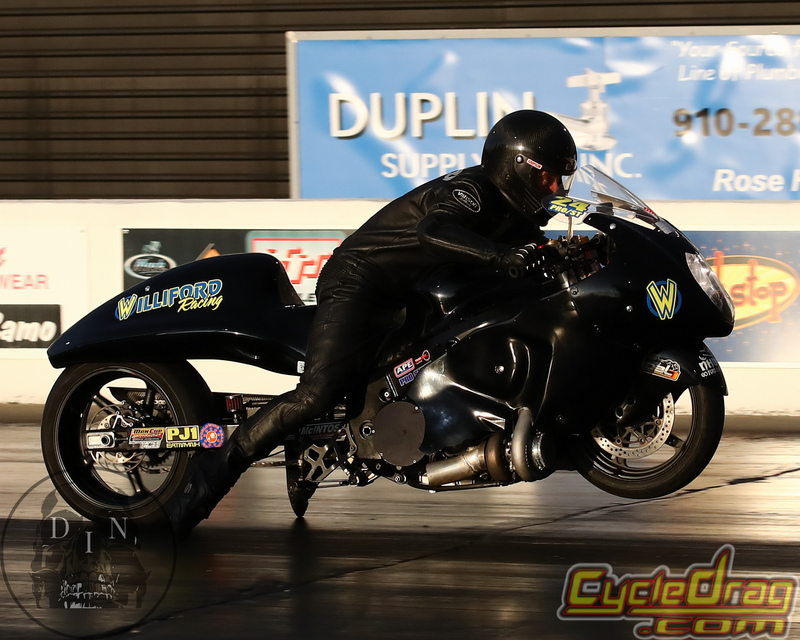 The excitement continued in qualifying as for the first time in IDBL history, three bikes ran in the 6.70-zone with Williford securing the top spot with a 6.76, followed by No. 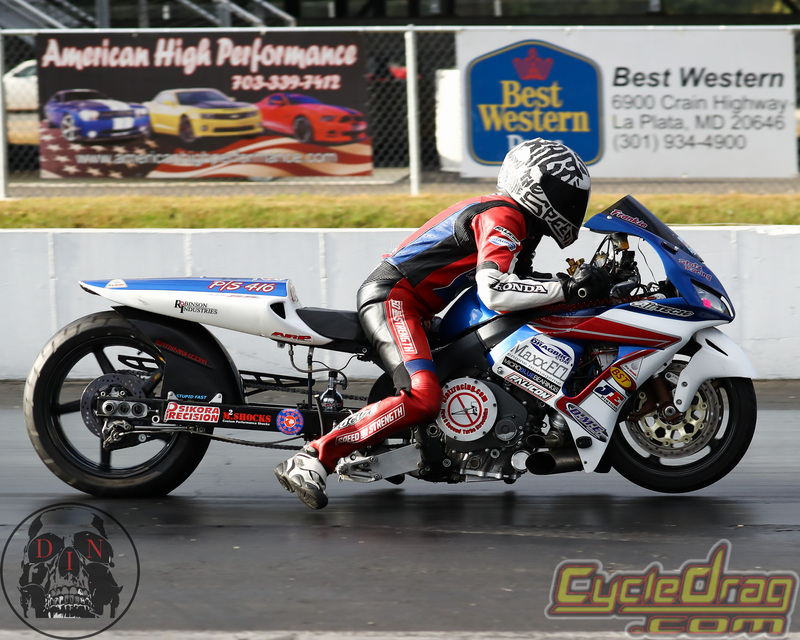 2 Frankie Stotz on his Honda CBR 1000 at 6.78 and Gadson at 6.79. Gadson encountered mechanical gremlins and was upset in the opening round by Justin Shakir. 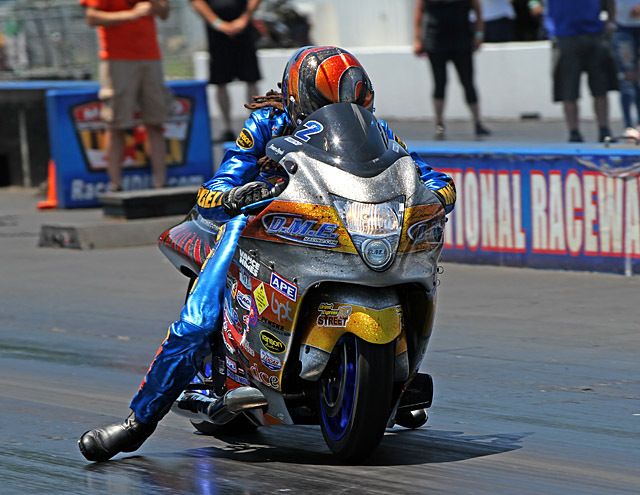 Two-time Battle Royale winner of Team DME Terence Angela posted low-elapsed time of eliminations with a 6.75. Unfortunately for the Aruba-based rider, his bid for a third title was stymied in round two by Williford. The rain came in just prior to the semifinals which has pushed the conclusion of the much-anticipated Battle Royale to Saturday, Nov. 4 at the Rock. The IDBL will crown a first-time Battle Royale winner as Williford takes on 14-time dragbike racing champion Jeremy Teasley of Team DME and Stotz takes on the red-hot Ehren Litten, also of Team Williford Racing. Aside from the exitment of the Battle Royale, Pro Street competitors will be fighting and clawing to improve their standings in the IDBL championship points series during the World Finals Race to be held on Sunday Nov. 5. Championship plaques are awarded to all riders who finish in the top-ten and each rider is allowed to display a single digits vanity number the following season. Many IDBL top-ten players such as Chris Connelly Jr., Jason Dunnigan, Jeremy St. Julien, Kenny Brewer, Jordan Hasse, Doug Witt, Jake Dugan, Curtis Ellerbee, Tony Ficher, Keith Correia, Darion Payne, Rocky Tinker, Jamie Lopes and more are expected to enter the World Finals. 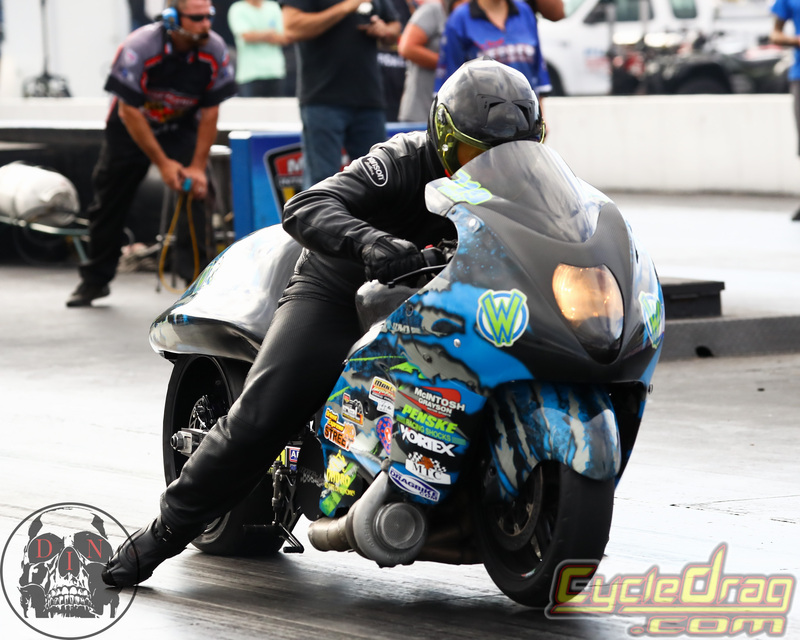 With cool air, and Earwood promising another great racing surface, many Pro Street racers could leave the IDBL World Finals with a new personal best. What will the GOAT list look like after the IDBL World Finals?